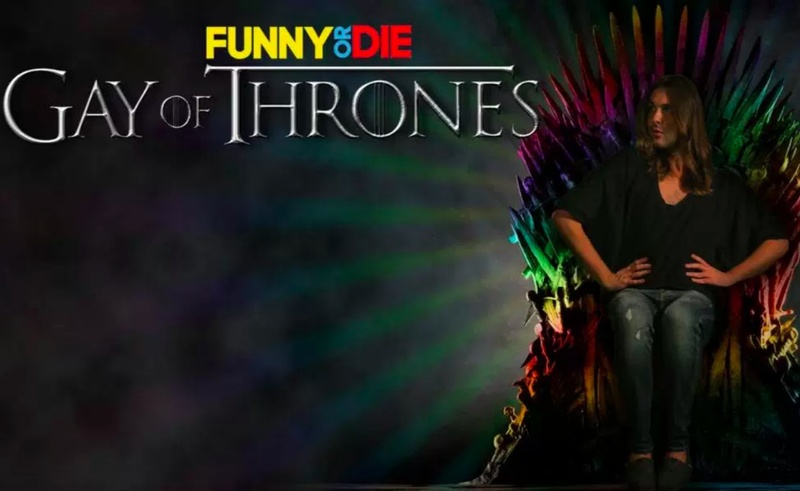 On Valentine’s Day, two digital media companies teamed up to create a channel a press release refers to as a “lovechild.” Funny or Die has made a move to serve LGBTQ+ audiences by setting up shop on the queer streaming service Revry, where shows like Gay Of Thrones are now available. As part of its agreement with Revry, Funny or Die has launched a channel that features LGBTQ-friendly content. Gay Of Thrones, in which hairstylist Jonathan Van Ness and his guests recap Game of Thrones episodes, is a natural fit for Revry’s viewers. The deal between Funny Or Die and Revry comes at a time when the former company is reevaluating its place in the digital media world. Funny Or Die recently announced its second round of layoffs in as many years, during which it made significant cuts to its app development team. Revry, meanwhile, is making its mark in the niche SVOD world by catering to its LGBTQ+ clientele. Its library includes notable shows from queer creators, including Her Story and Easy Abby.